Nestled in the rolling terrain of the Pacific Northwest’s Black Hills on the outskirts of Olympia, Washington, Delphi Haus artfully marries Passive House and universal design in a beautiful single-story modern home. Surrounded by mountains and filled with a soft yellow glow that radiates from the top of yellow-painted soffits extending into the living room, the home was designed for the long-term health and well-being of its owners, Kelly and Laura, and the land they love. Seeking a home that they could “settle into forever,” Kelly and Laura reached out to Artisans Group. Their site, with vast territorial and iconic Pacific Northwest views—Mt. Rainier and Mt. Saint Helens are both visible to the east—called for a beautiful home that could celebrate the area. Yet unless the home would be used only as a brief stopover for them, they needed a home that would work with—not exacerbate—a particular health challenge. Laura has lupus. A chronic autoimmune disease, Laura’s diagnosis comes with the knowledge that she is growing increasingly sensitive to direct light while also becoming more prone to falls. Imagine having the property of your dreams with an incredible eastern view, the place where you want to live out your journey, and you have an increasingly uncomfortable sensitivity to natural light. As with all Passive Houses, energy modeling on Delphi Haus was used to ensure that sun exposure would meet heating needs throughout the winter—and into the spring and fall as well—without being too extreme during the summer. Clerestory windows admit wintertime solar gain, but instead of the sunlight pouring in, Delphi Haus’s design incorporates extended interior soffits that reflect sunlight, allowing the home to heat passively while keeping Laura healthier and more comfortable. Aesthetically, the soffit is seen as a continuous visual plane extending from the exterior eave into the home, but it’s a sleight-of-hand architectural move that relies upon supporting posts along the exterior wall. 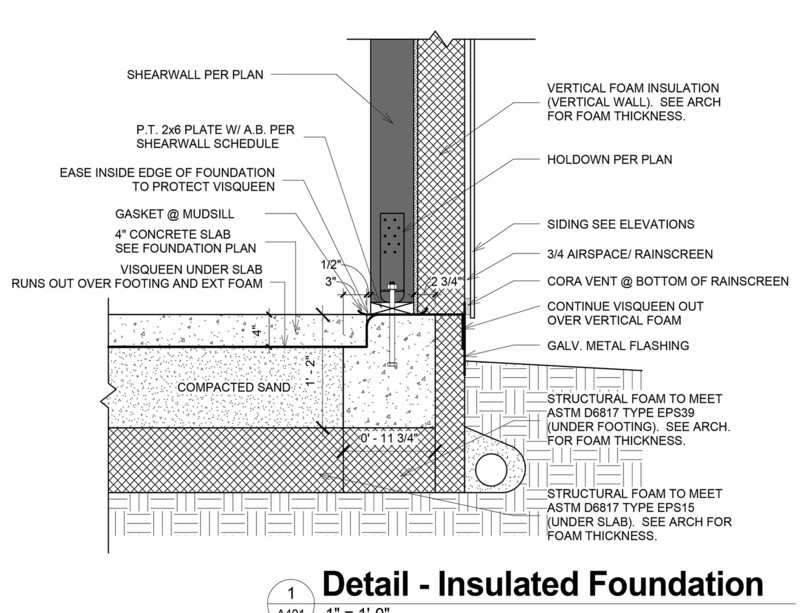 So while the soffit appears continuous, the reality is that the thermal barrier is never bridged and the home’s envelope remains sealed. 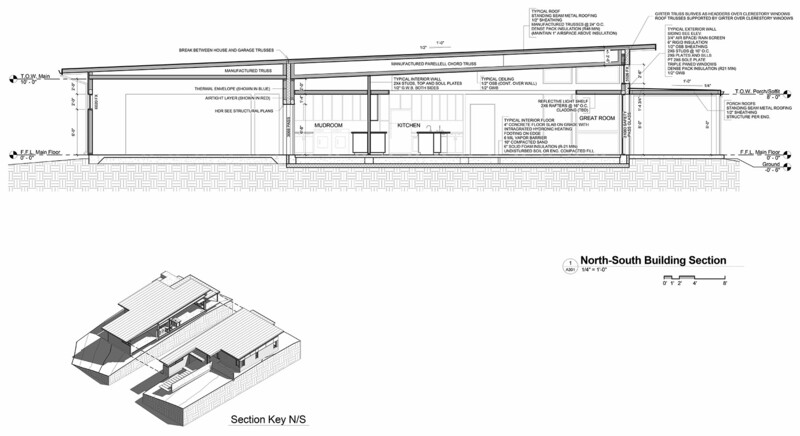 So what does Delphi House mean for Passive House? Not many years ago, and coinciding with an increased awareness of excess carbon consumption by first-world nations, Passive House’s primary appeal was its sustainability. Yes, the consistent indoor temperature and the constant supply of fresh air were touted as benefits of the standard, but the lion’s share of marketing was directed toward clients who sought Passive House for its greater sustainability. The times, they are a’changin’. As more data and first-person experiences emerge from researchers, designers, builders, and (especially) the people who live and work in Passive Houses, we in the field are beginning to see a definitive shift in perception of the Passive House standard. Is this because we’ve been marketing it correctly? More likely than not, it’s a beneficial coincidence. People are increasingly educated about the benefits of healthy indoor air and the long-term implications of living and working in unhealthy buildings. And for those searching for hard truths about Passive House buildings, there are reams of data. Yes, there are data about minimal energy use, but that’s just the beginning. There are also data on the comfortable indoor temperatures; data on the consistency of those temperatures; data about the exchange rate of fresh air for stale; data on indoor humidity; data on how quiet these buildings are, even in the middle of a city; and so on. More data keep coming in, and the data consistently point to Passive House being a holistically better experience for building occupants—from environment to health to hygge. Advocates of healthy spaces are beginning to point people toward the standard not just because it’s the environmentally responsible thing to do, but because it’s the better-quality-of-life thing to do. That perception is widely shared. Delphi Haus won the award for Best Single-family House in the 2017 Passive House Projects Competition; the 2018 Professional Builder magazine’s Gold Award for Green Architecture; and an Honorary Mention in the 2018 Architecture Master Prize for Green Architecture. Jason Taellious is the marketing director and permitting specialist for Artisans Group.